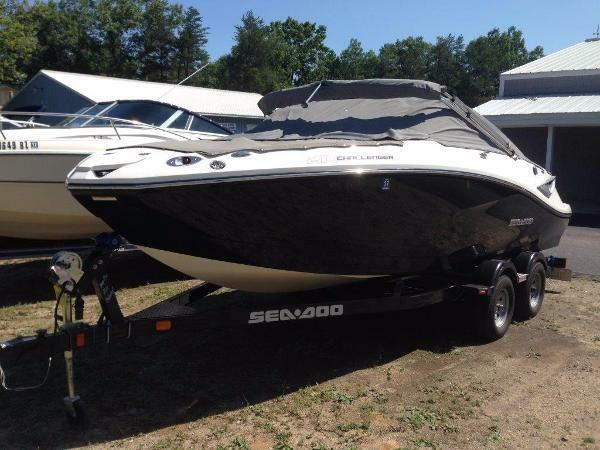 2010 Sea-Doo Sport Boats 210 Challenger SE The all-NEW Sea-Doo 210 Challenger will give you and nine others a reason to stay out on the water. A spacious cockpit and easy-to-reach controls are only some of the key features in this 21-footer (6.4 metres) that will make you look forward to a day out on the water. With 430-hp and Intelligent Throttle Control system (ITC), you'll have the power and performance to do so. At the core of every Sea-Doo sport boat is the innovative Direct Drive Jet Propulsion System. Unlike conventional stern drives, it generates a concentrated, powerful stream of water that not only propels the boat but steers it too. Direct Drive delivers an on-water experience that will leave you feeling both in control and breathless. The Jet Propulsion system has minimal bow rise and faster planing for increased visibility of what is ahead. Its prop-free design creates a safer swimming environment with no exposed sharp edges minimises draft so you can ride in shallower waters. 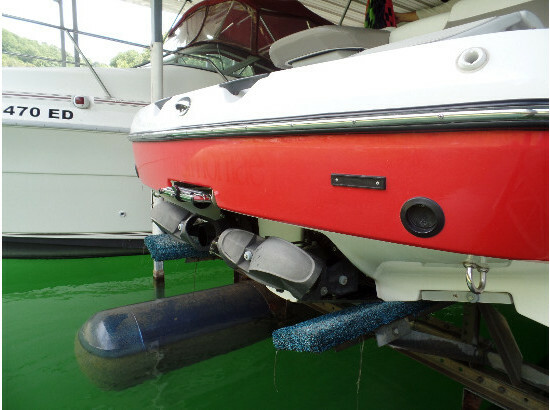 Plus, our exclusive Closed-Loop Cooling System helps protect your engine from salt, gunk and corrosion, allowing you to ride in both fresh and saltwater environments. New listing. Contact us for more details. Twin Supercharged Engines. 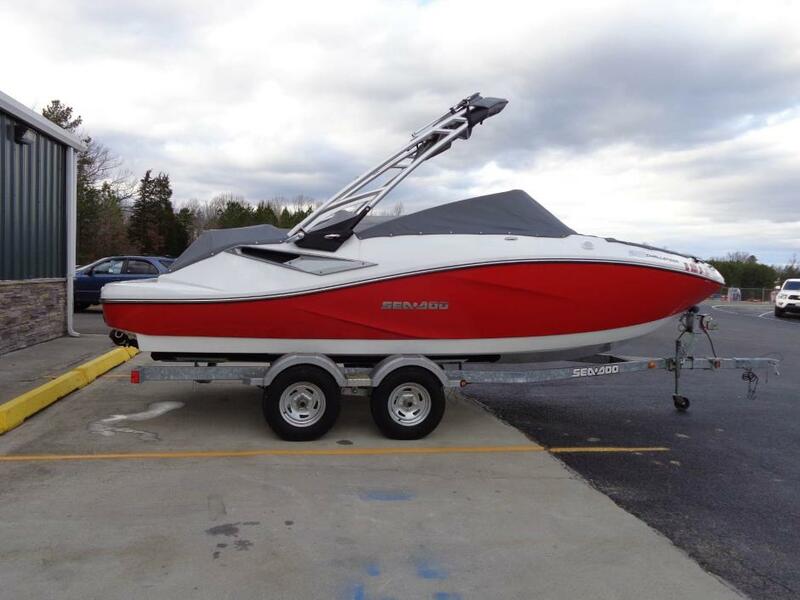 2012 Sea-Doo Sport Boats 210 Challenger SE This unit is being sold on consignment "AS IS" with NO warranty. This unit has been checked over. Engine compression tests have been performed on both engines and both within factory specifications. Boat has just been serviced: Oil change and new filters and new spark plugs. Unit has been kept in dry storage when not being used. 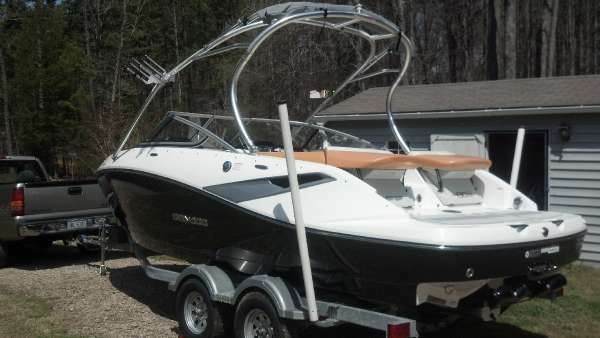 This boat has never left Lake Anna, VA. Get the comfort and convenience of a 23-foot boat, in a 21-foot package. Its cockpit has room for 10, with plenty of storage for everyone's gear. And versatile Transat seating that can be configured to your liking. Add to that the increased efficiency and responsiveness from Intelligent Throttle Control, and you have a boat that squeezes more fun out of every possible inch. 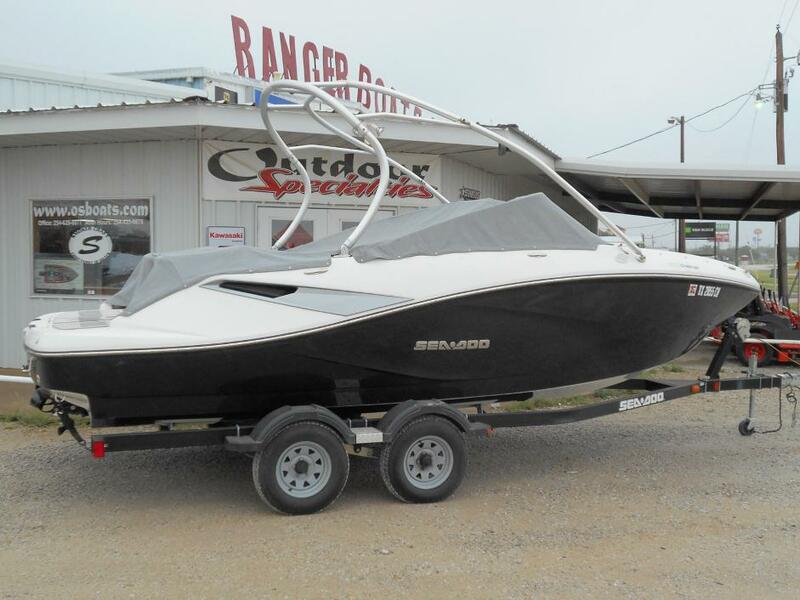 2011 Sea-Doo Sport Boats 210 Challenger SE Get the comfort and convenience of a 23-foot boat, in a 21-foot package. Its cockpit has room for 10, with plenty of storage for everyone's gear. And versatile Transat seating that can be configured to your liking. 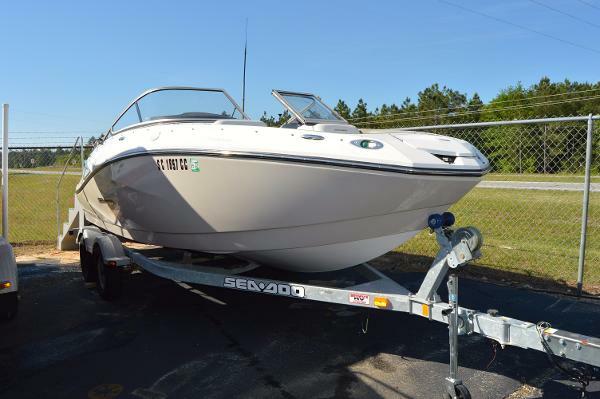 Add to that the increased efficiency and responsiveness from Intelligent Throttle Control, and you have a boat that squeezes more fun out of every possible inch. 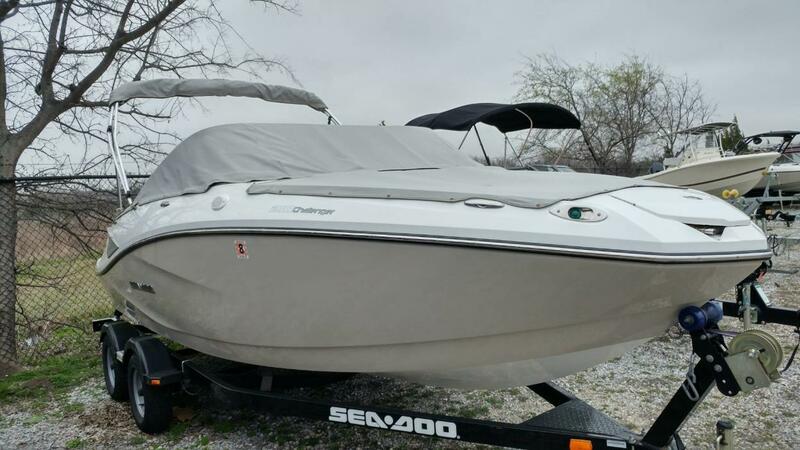 2011 Sea Doo 210 Challenger SE. A 21-foot boat that gives you as much living space as most 23-footers! She's powered by twin Rotax 1503 4TECs with 430 combined jet drive horsepower. Top end speed of approximately 43 mph. Room for up to 10 passengers, 44 gallon fuel capacity. Nothing accelerates quite like a jet drive! 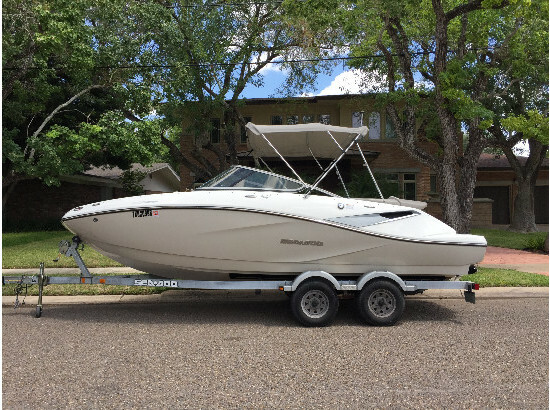 Boat is serviced and ready for the water. Super Clean Low Hours! When you get behind the wheel of a Sea-Doo Sport Boat you owe it to yourself to experience the awesome acceleration that only jet drive can deliver Zero to 20 MPH in just over two seconds is impressive. This delivers the fun factor whether you are looking for a fast-paced driving experience or power for skiing activities or just cruising. Very impressive! 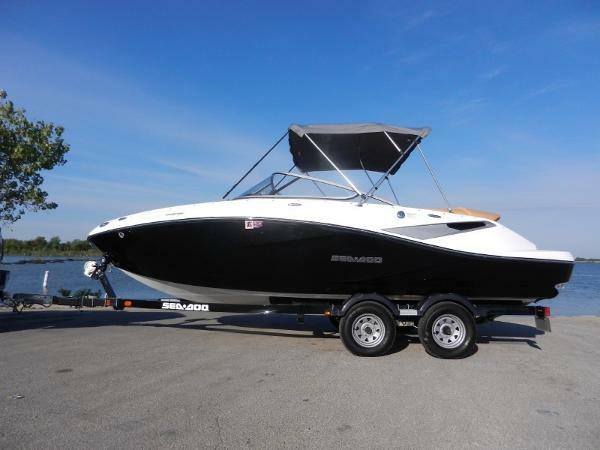 Price dropped to $29,895.FEATURES:430hp plus a host of standard features, including transat seating, bimini top, boat covers, Standard Horizon VHF, AM/FM 4 speaker stereo w/USB, boarding ladders (bow and stern), stainless steel rubrail, depth finder, cruise control. 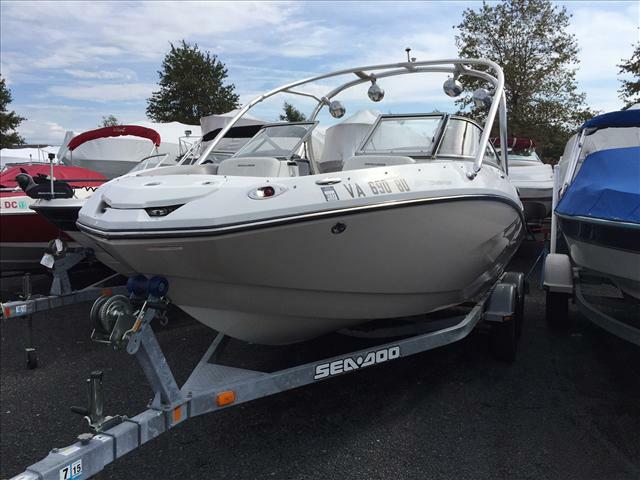 2012 Sea-Doo Sport Boats 210 Challenger SE This 2012 Sea-Doo Challenger 210 has the convenience of a 23-foot boat, in a 21-foot package. Its cockpit has room for 10, with plenty of storage for everyone's gear. And versatile Transat seating that can be configured to your liking. Add to that the increased efficiency and responsiveness from Intelligent Throttle Control, and you have a boat that squeezes more fun out of every possible inch. This vessel has only had 1 owner and has a seating capacity of 55 MPH. Priced with options like snap on cover, depth gauge, snap out carpet, table, and front boarding ladder. 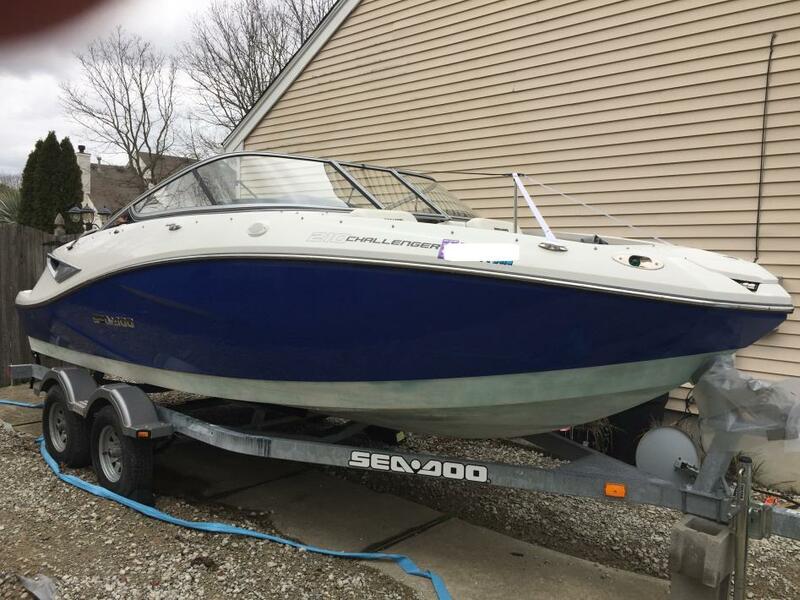 This boat has been stored inside during the offseason and is still under warranty until 2019! 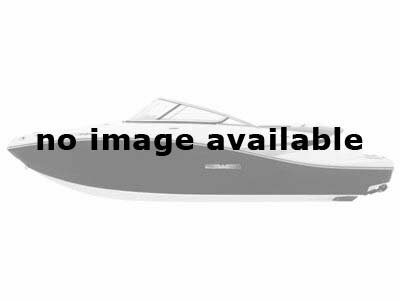 Listed WITH a tandem axle trailer and on consignment through Lake Springfield Marina. 2010 Sea-Doo 210 Challenger SE (310 hp) The space needed to live it up. In a size that doesn't go overboard. And with the most horsepower in its class (up to 430 horsepower) and Intelligent Throttle Control (iTC), they'll never want to go home. - CRUISE THE GULF IN STYLE!! 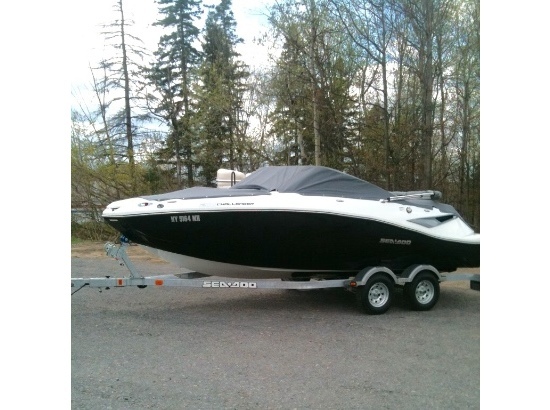 2010 Sea-Doo Recreation 210 Challenger SE, Very clean boat with wakeboard tower, speakers, fun to drive. 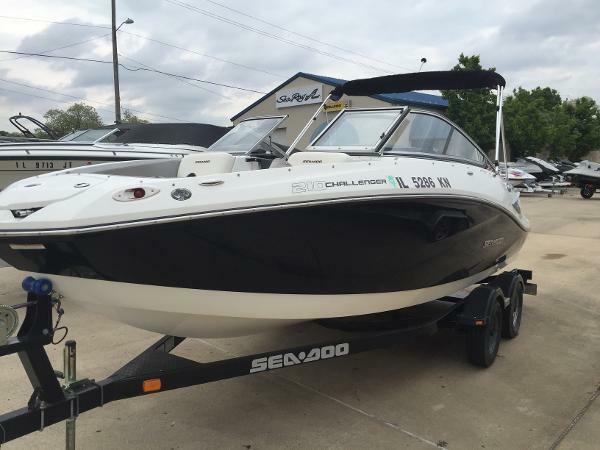 2010 Sea-Doo Sport Boats 210 Challenger SE VERY CLEAN! 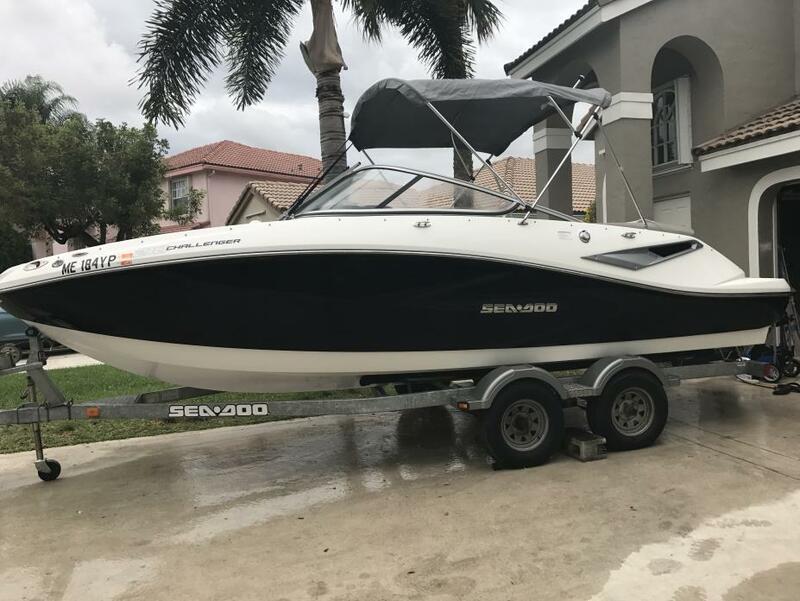 UPGRADED BLACK HULL, LOADED WITH OPTIONS, TWIN ROTAX 4-STROKE MOTORS - 430 HP, ONLY "57" HRS IN FRESH WATER, BIMINI TOP, COCKPIT AND BOW COVER, BATTERY W/ ON/OFF SWITCH, CD/STEREO, SIRIUS SATELLITE RADIO, FWD & AFT BOARDING LADDER, COCKPIT TABLE, SKI TOW HOOK, SNAP-IN COCKPIT CARPET, PERFECT PASS, SS CUP HOLDERS, DIGITAL DEPTH FINDER, PULL-UP CLEATS. TANDEM AXLE TRAILER WITH BRAKES INCLUDED! RECENT SERVICE & DETAIL! BOAT TURN KEY! CALL FOR MORE INFORMATION.